Through their paranormal bond, Rebecca and Dylan almost become one; but their inexplicable merger means that they disconnect more and more from the ‘real’ lives that they so desperately try to cope with. Unable to share their experiences with anyone but each other, they fade away from the people in their actual surroundings, and they don’t even care. Fascinated with what’s happening to them and intrigued by becoming ‘the other’ in their friendship, they are forced to deal with themselves from an entirely different perspective, a gift everyone lacks so desperately. Seeing each other through someone else’s eyes, they finally manage to accept themselves, get to know themselves, and realise what’s really important to them in life. 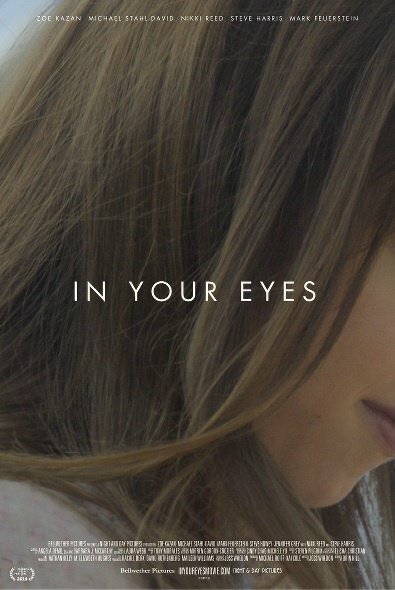 In Your Eyes was self-distributed online and you can rent it on Vimeo. My suggestion? Take the evening off and go do it. It’ll make you feel good and sad, excited and subdued, and it’s a nice break from all the hectic, visually aggressive action that we are bombarded with these days. June 8, 2014 in Film & Television, Reviews, Storytelling.